In late nineteenth-century France, more than a century after the introduction of color in printmaking, color became a major factor in the market success of lithography and other printmaking techniques. Published to accompany a major exhibition at the Musée Jenisch Vevey, Enraptured by Color offers a comprehensive compendium of color printmaking, with examples from all aspects of the trade. In a detailed introduction, curator Laurence Schmidlin takes readers through the process of producing a color engraving and explains the differences between color engravings and color prints. 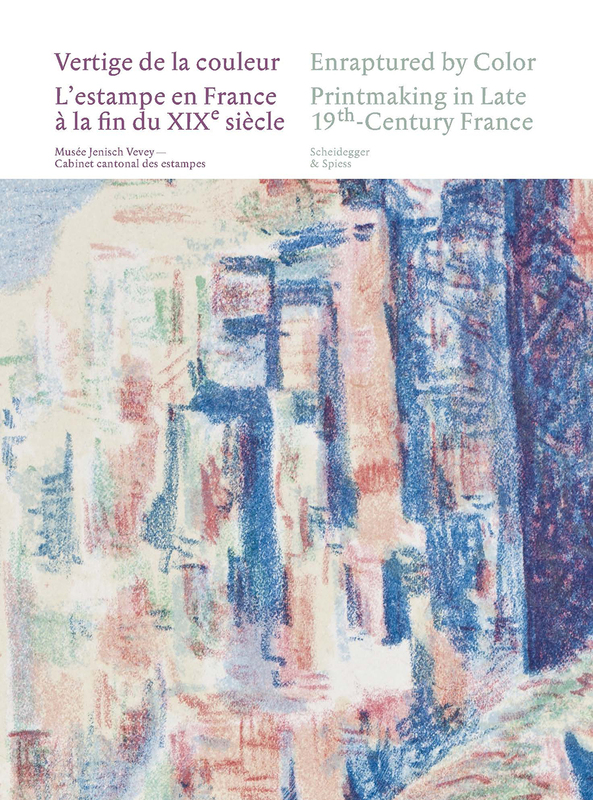 Additional essays, illustrated with rare documents and representative examples from the period, expand on the technical processes behind polychromy, or the use of several colors, and its effect on artistic production in France around 1890. Finally, the book explores, through a wealth of color illustrations, how color was exploited by important artists of the period, such as Pierre Bonnard, Paul Gauguin, Odilon Redon, Paul Signac, Édouard Vuillard, and Henri de Toulouse-Lautrec.